Having worked in the past on 1-10design’s Kyoto office, we performed the interior design for the Tokyo office of 1-10HOLDINGS to bring the group’s expanding businesses scattered throughout the city under one roof while providing extra space for its growing staff. 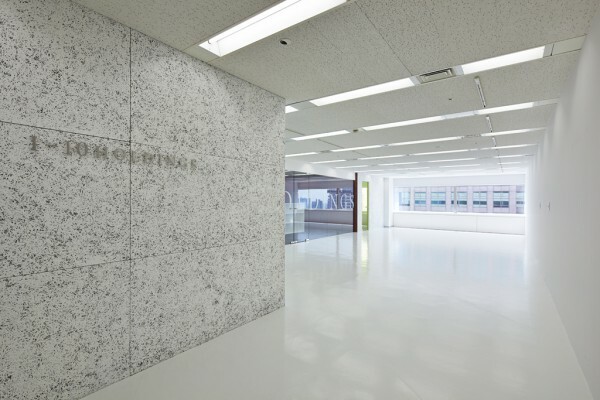 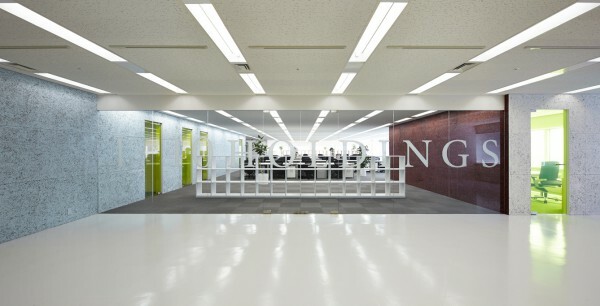 As with the previous Kyoto office, a glass wall stands between the entrance lobby at the front, which doubles as an abstract gallery in white welcoming visitors with a display of in-house digital contents, and the office space at the back. 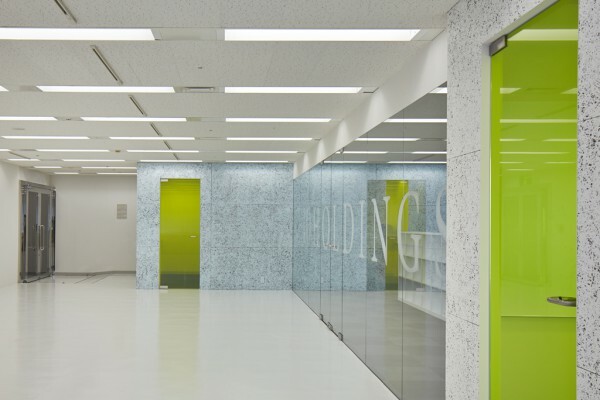 In order to retain as much office space as possible we placed meeting rooms and server rooms on each side and functional spaces, such as storage rooms, at each end. 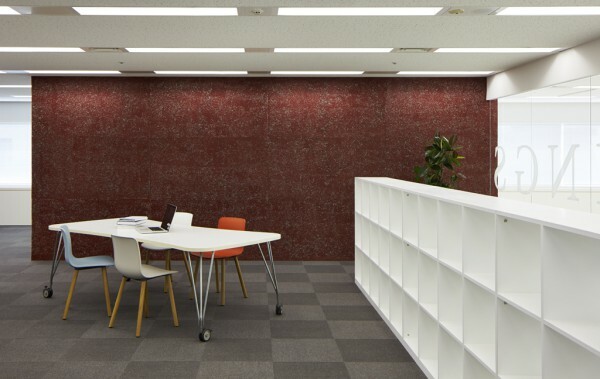 The contrast between the two-tone colored walls made of painted cemented excelsior boards makes an impression on the space. 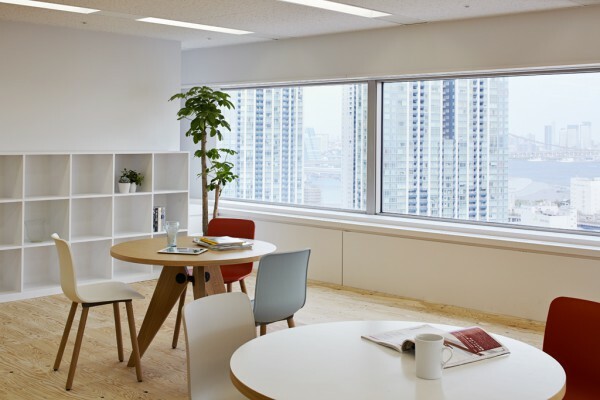 Moreover, the area at the very end of the office serves as a lounge space from which the bay coast can be taken in all at once. 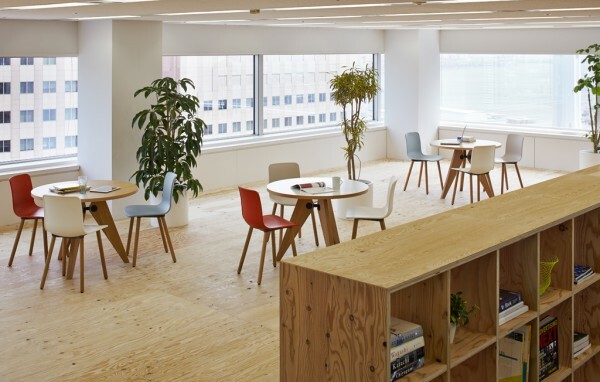 The Japanese larch plywood posed on the floor creates an elevated space commanding an all-encompassing view of the outer scenery and the office interior. 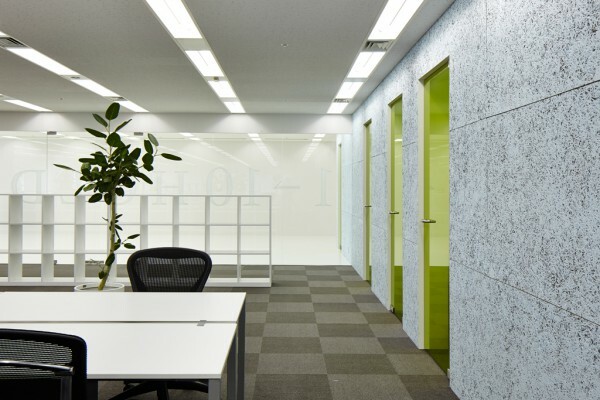 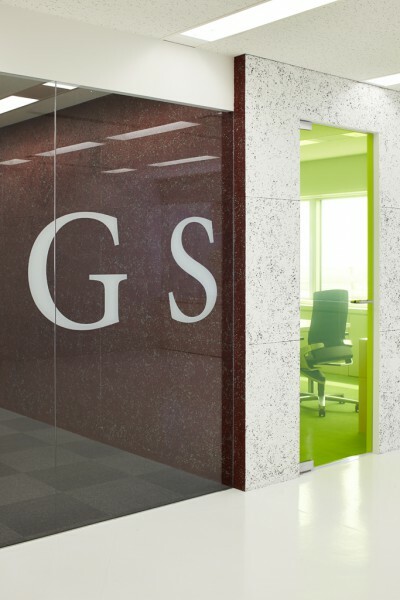 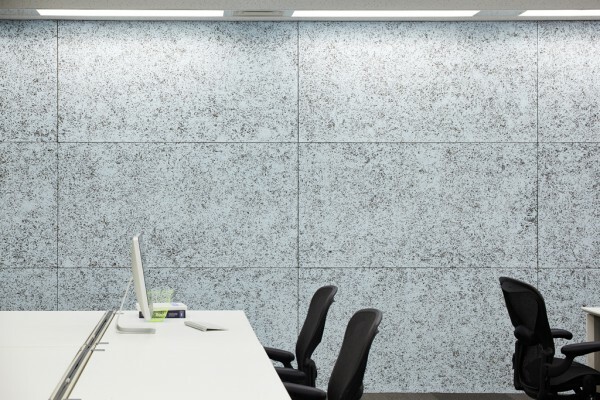 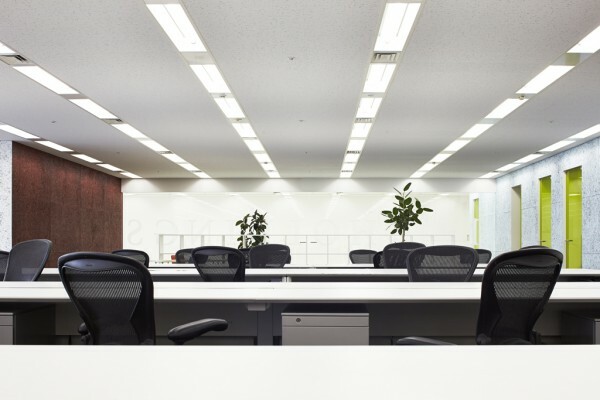 While the overall configuration remains simple, the characteristics of the office emerge from the white gallery, the wooden lounge and the combination of materials, such as painted cemented excelsior boards on walls and color film applied on glass doors.